Every Muslim must fast from dawn to dusk during the entire month of Ramadhan (Ramadan), the ninth month of the Hijr calendar (Islamic calendar, lunar), for 29 or 30 days because Allah commands it. This command was given because Allah said the Qur’an was revealed during this month and other prophets before Prophet Muhammad observed it. The sick, travelers and menstruating or expectant women are exempt but they are required to make up for the days missed. Children before the onset of puberty are also exempt. What should Christians do during Ramadhan? We should pray for Muslims in our neighborhood, city, and country and around the world. We should also make an effort to meet those in our community. Here is one way to prepare for this task. It is not too late to join your fellow Christians who pray for Muslim around the world during the month of Ramadhan. There is a booklet that has been in use for 19 years. 30 Days of Prayer for Muslim World gives overviews of Muslim populations in various countries, profiles of some unreached people groups and also contains testimonies of Christians of Muslim background. You can get copies for yourself or your church from Mission Network News here or World Christian here. These booklets are very helpful. May God use you mightily as you strive to live the Great Commission! This year, Ramadhan is projected to start on Wednesday, August 11—at the sighting of the new crescent at dusk with fast beginning at dawn on the 12th—and the last day might be on Thursday, September 9. I will be writing articles throughout the month, mostly utilizing the Qur’an and the Hadith, to show the CRACKS in the fast. Did God sanction it? Was he an all-knowing God? Stay tuned. May the Lord use you to open the eyes of your Muslim neighbor to the Truth! I am grateful to Dr. Philip Blosser, Professor of Philosophy at Sacred Heart Major Seminary, for reviewing Cracks in the Crescent and for the New Oxford Review for publishing it in the July/August issue. Here is an excerpt from the printed article. You can read the rest of the article after the jump. Since the events of 9/11, Christians in the West have become increasingly interested in what makes the Muslim world tick. Writers and publishers, for their part, have begun turning out a growing number of books introducing Western Christians to the world of Islam. Offerings from Catholic publishers include Jacques Jomier’s The Bible and the Qur’an (Ignatius Press, 2002), Dan iel Ali and Robert Spen cer’s Inside Islam: A Guide for CatholicsIslam Unveiled (Encounter Books, 2003), and Giorgio Pao lucci and Ca mille Eid’s interview-based volume, 111 Questions on Islam: Samir Kha lil Samir, S.J., on Islam and the West (Ignatius Press, 2008), to mention but a few. 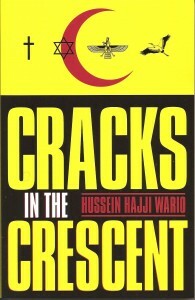 Hussein Hajji Wario’s Cracks in the Crescent warrants special notice. Two facts set this book apart. First, Wario is not only a former Sunni Muslim with years of experience in an Islamic culture, but unlike many Muslims was thoroughly educated in the esoteric aspects of Islam. Second, the arguments he uses to expose Islam — arguments honed by years of experience of debating Muslim peers after his Christian conversion — are drawn from the extensive literature of Islam itself, not merely the Qur’an, but Islamic history, Seerah (the life of Muham­mad), Sunnah (specific words, actions, and practices of Mu hammad), and Hadith (narrations based on the words of Muhammad shedding light on the Qur’an and matters of jurisprudence), and Fiqh (Islamic jurisprudence). The purpose of his book, Wario says, is to help both Muslims and non-Muslims seeking answers about the true nature of Islam. Wario was educated in traditional Islamic schools, called ma drassa, in Kenya during his formative years. Upon graduation he served as a madrassa teaching assistant and as a muadhin, the man who calls Muslims to prayer, in his native hometown. 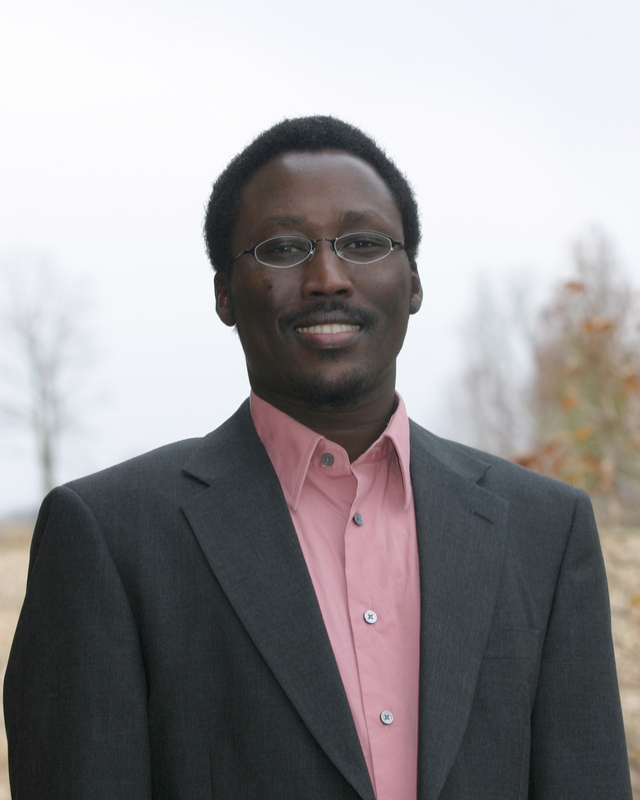 The first fourteen chapters of his book chronicle his upbringing in the monolithically Muslim community of his Kenyan Orma tribe, the shocking persecutions that followed his Christian conversion in 1989, and his emigration to the United States, where he attended Hope College in Michigan. The final two chapters deal thematically with the distortions behind the “Jesus of Islam” and the “Promised Comforter,” whom Muslims understand to be Muhammad. Western readers will be startled to read Wario’s account of the tight, hierarchical network of Muslim clerics who strictly oversaw every aspect of Wario’s education. All of life revolved around the madrassa and local mosque. As soon as he was old enough, he was taught to read and write Arabic, and then to read the Qur’an. Along with fellow schoolboys, he still bears scars from the floggings they received when they misspelled or mispronounced words from the Qur’an. Since Islam recognizes the virgin birth of Jesus and considers Him a human prophet, it is not surprising that Wario’s first awareness of Jesus came not from Christians but from hearing a Muslim cleric state that Jesus would return at the end of the world for the final judgment. His first serious encounter with Christianity came, however, only after a Christian headmaster at a government school took him under his wing, helped advance his education by a transfer to a better boarding school, then invited him to his home over the Christmas holidays and invited him to church. These events precipitated a crisis in which all of Wa rio’s Muslim commitments and prejudices about Christians were put to the test. After months of conflicted reflection, they were eventually found wanting. Among the more humorous of these was the preposterous fable he and his childhood classmates had been told that Muslims who attend Christian services received a “stamp” on their buttocks that earmarked them for Hell — a story he hilariously and decisively undermined for his childhood friends after his conversion while swimming with them. A significant dynamic in Wa rio’s conversion was the evangelical seriousness of the Christians he encountered, their witness, their willingness to invite him to church, to give him a Bible, to instruct him in the faith, and to make the guarded arrangements necessary for his baptism and incorporation into the Christian community amidst a religiously hostile social environment. From his description, these Christians appear to have been, for the most part, Pentecostals, Baptists, and those from the Reformed tradition. In any case, the Christianity Wario absorbed fostered in him an evangelical earnestness about winning his Muslim family and friends to the Gospel. At every turn, he boldly confronted his friends and other Muslims with inconsistencies he found in Islam and challenged them to accept the Gospel. Sometimes his boldness verged toward brazenness, as when he flouted the fasting regulations of Ramadan while staying with his family. None of this, of course, won him any friends. News of Wario’s conversion spread like wildfire, and his community rose up in outrage against him. The very idea that teachings of the Qur’an might be questioned in discussion, let alone contradicted, was considered unthinkable insolence. Wario was repeatedly assaulted physically. One student who heard about his conversion traveled 120 kilometers in order to beat him up. Offers were made to literally “buy him” back, on the assumption that he must have been paid to convert to Christianity. Ominous plans were made to forcibly convert him back to Islam. His family arranged for him to see an exorcist. Attempts were made on his life. His sister attempted to poison him — a fate he only narrowly escaped by a vague intuition that something was wrong on the occasion when she served him a drink. To add insult to injury, he was sometimes criticized by Christians who misunderstood his motives. Keenly aware that few of his Muslim contacts would ever seriously consider conventional arguments of Christian apologetics because of their Muslim religious conditioning never to question what they were taught, Wario learned to focus on undermining the credibility of Islam by examining its own authorities, principally the writings of the Qur’an and Hadith. Muslims remain pervasively ignorant of certain key elements of their faith, according to Wario, for three reasons: (1) discussion about the Qur’an is censored in many Muslim countries and communities; (2) there is a decided lack of adequate accessible resources, such as Hadith collections, for Muslims to learn readily about the esoteric aspects of Islam; and (3) scare tactics that are constantly employed to deter Muslims from exploring Christianity, which would assist them in discerning the inner distortions of Islam, such as the Qur’an’s nonsensical claim that the mother of Jesus is Miriam, the sister of Aaron, the brother of Moses. On one occasion, when seriously outnumbered by a crowd of young Muslim men, Wario was asked why he left Islam. He knew that any answer he gave justifying his rejection of Islam would upset his audience, so he chose to reference an esoteric doctrine of Islam and replied that he left their religion because the Qur’­an, in a text glossed over by Mus lim scholars, clearly states that all Muslims will go to Hell no matter how piously they have lived. Much to the disbelief and consternation of his listeners, the Muslim cleric at the local mosque confirmed his claim. The esoteric Muslim doctrine that all Muslims are destined for Hell, if only temporarily, presents a dilemma that most Islamic scholars do not like to admit, says Wario, but proves that Islam borrowed from the Zoroastrian religion and its idea of a bridge over Hell. Islam borrows, in fact, not only from Judaism, Christianity, and Zoroastrianism, but from pre-Islamic Arabian paganism. Few books have been more inflammatory to Muslims than Salman Rushdie’s The Satanic Verses (1988), a novel whose title refers to a group of Qur’anic verses in which Muhammad allows for prayers of intercession to be made to three pagan Meccan goddesses: Allat, al-Uz zá, and Manat. Rushdie received a fatwa, a religious declaration calling for his death, by none other than Ayatollah Khomeini, the supreme Muslim leader of Iran, in 1989. The passage is inflammatory because the Qur’an states clearly that Muham mad recited these “Satanic verses,” and this poses a threat to his credibility as a prophet of Allah—a detail Islamic scholars have an interest in covering up. Furthermore, the “Satanic verses” would tend to undermine the Islamic claim that Muhammad is the “Promised Comforter,” who, in the New Testament at least, is the Holy Spirit promised to “lead you into all truth” (Jn. 16:13), not error. There are other problems with the Islamic claim that Muhammad is the “Promised Comforter.” For one thing, the Hadith clearly states that the angel Gabriel is the Holy Spirit, a claim reinforced by the Yusuf Ali commentary on the Qur’an. Fur ther more, Muhammad, as the “Promised Comforter,” did not continue the mission of Jesus, but followed his own agenda of jihad against non-Muslims, including Christians. In fact, parts of the Qur’ an falsely accuse Jesus of telling His disciples to take His mother Mary as a god and a member of a trinity of gods. The most embarrassing aspect of Muhammad’s life to Muslims who know, however, are his sexual indiscretions — his exorbitant number of wives even by Muslim standards (official accounts state that he had eleven wives; others as many as twenty-five [sic]) [book reads "nine and eleven" on page 16 instead of "eleven... twenty-five"]; his marriage to Aisha when she was only six or seven and still playing with dolls, according to the Hadith, a marriage that was consummated when she was nine years old; his proposal of marriage to the beautiful Umm Salama on the day of her husband’s death; his marriage to Zainab, the wife of one of his adopted sons, Zaid bin Haritha, after pressuring them to divorce; the Hadith’s statement that he was given the strength of thirty men to service all of his wives every day and night in his old age; etc. By far the most interesting point that Wario discusses is the “Jesus of Islam.” Even though the Qur’an and Hadith depict Jesus in ways that are often grossly distorted, they inadvertently accord Him tremendous attributes that show His vast superiority to all the prophets mentioned in the Qur’an, including Muhammad — attributes including His sinlessness, that He would be a revelation and a mercy for mankind, and that He was uniquely protected (along with His mother, Mary, “chosen above the women of all nations”) from Satan at birth. The Qur’an says that Jesus is a “word of Allah,” and a “spirit” from Him who became flesh through the power of the Holy Spirit (the angel Gabriel in Islam). Miracles of Jesus are acknowledged, whereas no incontrovertible miracles are attributed to Muham­mad. This is not to deny the multitude of bizarre distortions in Islam concerning Jesus, but it certainly suffices to provoke wonder at how Muslims can believe that God would send Islam as a religion to abrogate and supplant Christianity, when, even by Islam’s own account, the “prophet” who brought Christianity is superior in every respect. We owe a debt of gratitude to Wario for the courage of his response to Christ’s call to follow Him out of his Islamic community in Kenya, at great personal cost; for his elegantly written chronicle of those events; and for this rare glimpse into the more esoteric doctrines of Islam. This book should be read by any and all Catholic clergy and laymen interested in Islam. While some of the information provided will call for great tact and sensitivity if shared with Muslim friends and acquaintances, it will readily furnish the needed resources and references required to help both Muslims and non-Muslims come to a clearer understanding of Islam and its growing influence in our world today. Start reading the first four chapters here. If you would like a copy, buy it on Amazon or autographed copies here. The past two months have been one of the hardest times of my life as a Christian. It has been gut-wrenching to read about ex-Muslims being attacked by Muslims and some Christians alike. I had some sleepless nights because I could not fathom how some Christians could give Muslims a platform. Not especially when they knew Mohammad Khan has declared his war on other ex-Muslims, indiscriminately raising doubts about their past merely based on “absolutes” in Islam, their accents of Arabic (Islamic) terms and their non-Islamic (Arabic) names even when he had no prior knowledge of their background. I still don’t understand how Christians fell for such a ruse. Liberty University committee investigating Dr. Ergun Caner’s background has concluded its findings and the final decision has been made. He is going to relinquish his post as president and dean of the seminary but remain on as a professor of apologetics. I hope this decision marks the demise of attacks on ex-Muslims and the beginning of healing for us Christians who have been squabbling publicly. I hope we have learned from this ordeal. I knew from the outset that Mr. Khan was majoring in lies. He was concerned that “Allah’s light” was being extinguished thus employing certain absolutes in Islam that are no absolute after all. Dr. Caner did not help the situation either because he gave opportunities to his critics to raise doubts. I am hoping that we tread on carefully next time similar questions are raised about a Christian brother or sister of Muslim background. The fact that Mr. Khan has other videos of ex-Muslims he accuses of being fake ex-Muslims should be a conspicuous clue that we should take whatever he presents with a grain of salt. I have a very low opinion of these ex-Muslims bashers. Here are a few reasons. First, when I challenged Mr. Khan’s interpretation of Islam in April, he quickly demanded that I post my findings juxtaposing the Arabic commentary with my interpretation in English. This comes from a man who admitted to a Southern Baptist blog audience in February that he couldn’t read well, let alone understand, Arabic. Second, I know for a fact that Mr. Khan has not read my autobiography, Cracks in the Crescent, and yet he reviewed and rated it here. Other Muslims have not read it either and still that did not stop them from reviewing and rating it here. Now that tells us about their objectivity in their presentations of any ex-Muslim’s background. Third, when my asylum petition was denied and it made the Associated Press wire, Mr. Khan and his Muslim friends jumped on it, copying the links to articles on Facebook, other websites and Twitter. (Some Muslims even edited the official AP release and added “due to the many discrepancies in his accounts” to it and then posted it on my book’s fan page masquerading it as part of the original AP article.) How desperate can they get! Mr. Khan had a reason for suspecting that I was a fake ex-Muslim. First of all, my legal name (Wario Zachariah Abarufa Hussein) is different from my penname (Hussein Hajji Wario). Instead of asking for a clarification, he jumped on it declaring me a fake ex-Muslim merely based on my name. For the record, my name has changed through the years. I go by aliases as well. I often misspell my name for security reasons when participating in events or go just by one name. Zachariah is my baptismal name. Abarufa (correctly spelled Abbarufa) is an Orma (my people group) nickname that my mother’s midwife gave to me. I added these names to my official name on April 10, 1995. Hussein is my given name and Hajji Wario was my father’s name. The reverse in the order and the misspelling of Abbarufa happened because a Kenyan government official wrote it that way on my official identification card, perhaps because I could not bribe to get the document, and hence it is stuck legally I attempted at least to reverse the order of my name in 1998 when I visited Kenya (which I explained in my autobiography in Chapter fourteen) but I was unsuccessful because some Christians (irony) bombed the U.S. Embassy in Nairobi in August 1998. I still have the official U.S. government document (I-20) that I was issued to change my name on the U.S. visa. So, if some concerned Muslims really want to find out who I really am, they are welcome to pay a visit to Kenya. Go to Garsen in the Tana River district and ask for my family. They should also ask Muslim leaders in Mombasa why they have not made their rebuttal to my autobiography public. They had a problem with the opening line of chapter fifteen, “Islam is its own worst enemy…” and were supposed to make their findings public at a press conference after Jumaah (Friday) Prayer on March 20, 2009. I am still waiting. Fourth, I seriously doubt that Muslims started this endeavor to find the truth but distract and confuse Christians. I know it for a fact because when I wrote a post, “Lack of Absolutes in Islam Fizzles Attack on Ex-Muslim,” Muslims started a rumor on Facebook that my website was spreading a Trojan virus. They were warning people on Dr. Ergun Caner’s fan page not to go to my website. Complains were coming from the same group of Muslims that frequented the page with links deriding Dr. Caner. That virus must have been very selective to attack only Muslim computers! Even when Christians reassured them that there were no viruses, Muslims still maintained their story. Now that tells you how much truth they were seeking in this matter. Brethren, our lack of restraints has caused irreparable damage to Christian outreach to Muslims. We have made it far worse than Dr. Ergun Caner did. I find it quite disturbing how some of us justified the public discussion and judgment of Dr. Caner while the same call for restraint when it comes to recent public arrest of Christian apologetics in Dearborn, Michigan. Our continued discussion of Dr. Caner simply because Liberty decided against making its report public is not justified. In fact, we should laud Liberty for not availing information that detractors of ex-Muslims could use as a trophy. (Some Muslims are waiting to put an icing on their cake.) The more we discuss this now irrelevant issue, the more irrelevant our ministries will become. Instead, let us employ the same fervor and vigor we exhibited in our discussion of Dr. Caner in our outreach and evangelism efforts. We must overcome our manmade theological differences. The time for healing division among Christians has come. To read the first four chapters of Cracks in the Crescent on Google Books, click here. Link to my website or any post on my website. Quote any of my posts on your website provided you link back to my original post. Print and or photocopy up to 50 copies of any of my posts for internal distribution within your organization. Re-post any of my posts in its entirety anywhere else on the Internet. Alter, quote out of context, or adopt this work as your own. ***Failure to follow this guideline, you must, upon notification, retract your work (published or unpublished, written or recorded) and apologize for your breach of “contract” through a written statement. You consent to the “copyright” if you use any part of a post. An Egyptian sociologist and the founder of the Ibn Khaldun Center for Development Studies in Cairo, Saad Eddin Ibrahim, a Muslim, says Arab countries do not want the Israel-Palestinian conflict to end because they have “vested interests.” These countries were the architects of the present-day nightmares that Israelis and Palestinians live through. They urged Palestinian leaders to reject the two-state solution in 1947, resulting into Palestinians living as refugees in their own land. I went to school with some Palestinian Muslims and Christians. Some of them still live in the Gaza Strip and the West Bank. I hope and pray for this conflict to end soon. I believe that Israel has a right to be a country in the Middle East. And the Second Coming of Jesus Christ does NOT depend on the rebuilding of the Temple on the Temple Mount. However, the Al-Aqsa Mosque and the Dome of the Rock have no right to be on the Temple Mount either, because, contrary to what Muslims say, the Hadith shows that Prophet Muhammad did not ascended to the seven heavens from there. He actually had a dream that he was in Jerusalem prior to the alleged ascension. Why any Muslim would shed his or her blood over Muhammad’s dream or vision causes me to wonder. Arab countries want this conflict to continue because they benefit financially from the plight of their fellow Arabs in Palestine and Lebanon refugee camps. Islam and Muslims claim the victim status for a reason. From the widely known claim that Christians and Jews removed references to Prophet Muhammad in the Bible, to Muslims being “randomly” screened at airports. Lastly, non-Palestinian Arabs do not want this conflict to end because they do not want the world to look at the Islamic ideology a fresh. Had this conflict not being constantly in the news, the debate would have shifted to the prophethood of Muhammad, the infallibility of the Qur’an and the legitimacy of the Islamic ideology. The cracks in the Crescent would have been carefully scrutinized. Non-Muslims would not have been buying into the current propaganda that essentially misleads the masses to focus only on the first 12 years of Islam and ignore the last 10 years which defines authentic Islam. We should start asking tough questions for the sake of peace in Palestine. Hopefully, with the end of this conflict, the right questions about Islam will be asked. There are a few thousand copies of Cracks in the Crescent in print and are available at Hope College, Calvin College, Reformed Book Outlet and Cornerstone University bookstores and Schuler Books & Music in the United States and CPRF Bookstore in Europe. You can also buy securely using PAYPAL here. You don’t have to have a Paypal account because a credit card, debit card or a check is accepted. Free shipping. Offer ends Friday, December 31, 2010. A must read for anyone interested in Muslim-Christian dialogue. An intense story of the author’s struggle to leave Islam, the religion he was raised up in, and the numerous attempts on his life for embracing Christianity. Along his journey, the author discusses several inconsistencies with Islam between theology and its practice and how it affects the Muslim-Christian dialogue. The author was formally trained in both an Islamic Madrassa and a Christian University—having experienced both religions in personal and dramatic ways. It is from this perspective that he is able to discuss these controversial issues in ways few others could. David V., College Station, TX. Informative and Well Written. Excellent. This book presents the stark contrast between Christianity and Islam in a true story narrative. Anyone who is interested in knowing the difference in thought and belief between the two should buy this book and read it. Charles R.W., Grand Rapids, MI. He meets his detractors at their level and because of his knowledge of both the Bible and Qur’an, is able to handle questions from Muslims with ease. If you are unfamiliar with Islam and its beliefs, this is an excellent book to have on hand. Christians should know what Muslims think about Christianity and the author has written a book unlike any other that I have read on the subject of Islam. This would also be an excellent book to give to Muslims because it shows quite clearly where they have been misinformed about Christians and in particular Jesus. If you have Muslim friends you want to get this book! The fact that it is autobiographical adds an important dimension that most books on Islam lack…. very special. Free Shipping. Offer ends Friday, December 31, 2010.